About one month ago now I was part of a wonderful project for the fashion section of The Courier and I wanted to share with my readers through my article how what a student fashion shoot is like! I have included some of the unseen photos from the day and some of our inspiration, so I hope you like it. 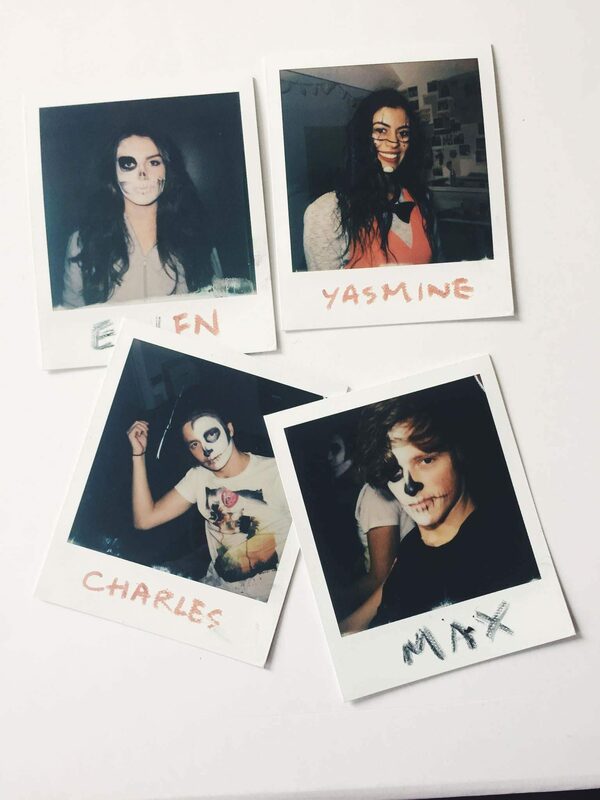 Joining my co-editors for this year’s Halloween photo shoot, we wanted to explore the theme of the circus. With evil clowns running amok around Newcastle, it seemed like the perfect theme to bring in a little of the morbid into Halloween styling, getting ready for the Halloween fashion for day and night! 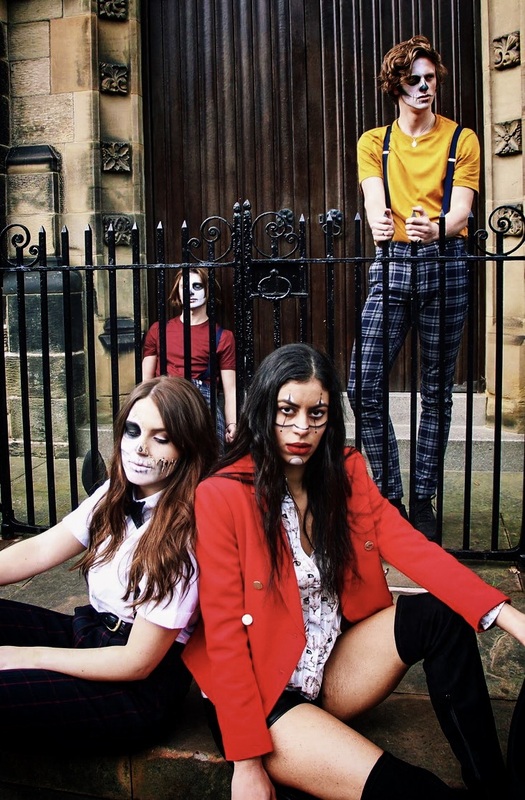 With our four models, some face paint and makeup and circus-themed fashion we channelled Halloween in our Jesmond location. 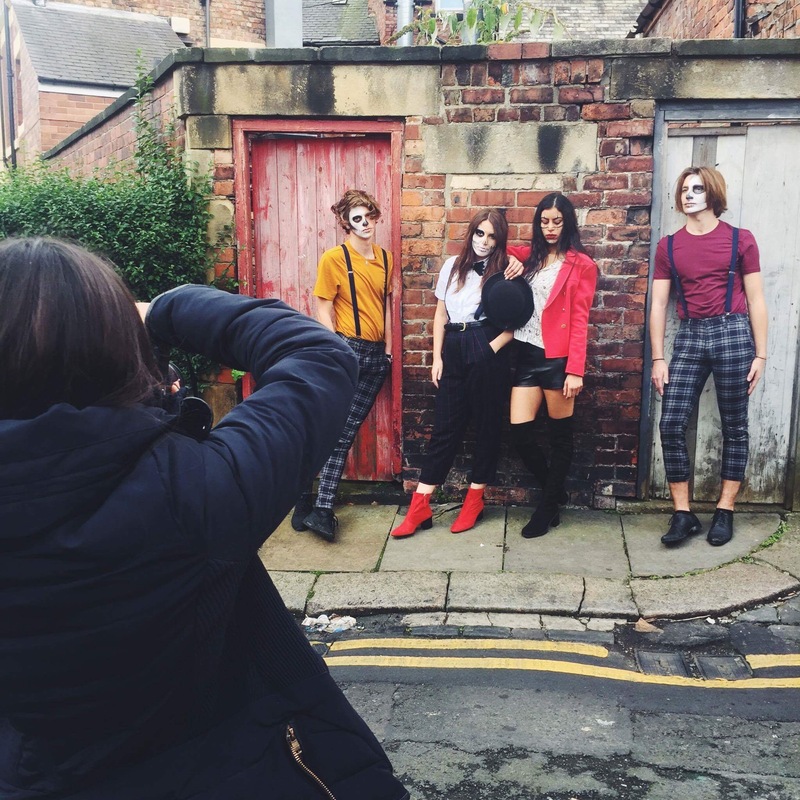 Our models easily took on their adopted personas- the Pierrot circus ringleader, the forlorn clowns and the half-faced woman. With clowns and skeletons, we were sure to evoke a Halloween theme! We had been fortunate enough to borrow clothes from Topshop Eldon Square to outfit our models, who had kindly lent us circus-themed clothes. Our beauty editors covered the makeup looks, inspired by the haunting Halloween makeup and our creepy shoot locations. On the day of our shoot, we had arrived and gotten ready with all of the clothes laid out, our beauty section armed with liquid latex and face paints for makeup. Our inspiration for our male models was a smoky, sad skull face, while Ellen (model and beauty editor) brought her own creativity into separate her makeup with latex, leaving one side as a jagged and melting skull face and the other perfected with a smoky eye. This didn’t seem like a hard look to try and it would be a great look for the Halloween night out! 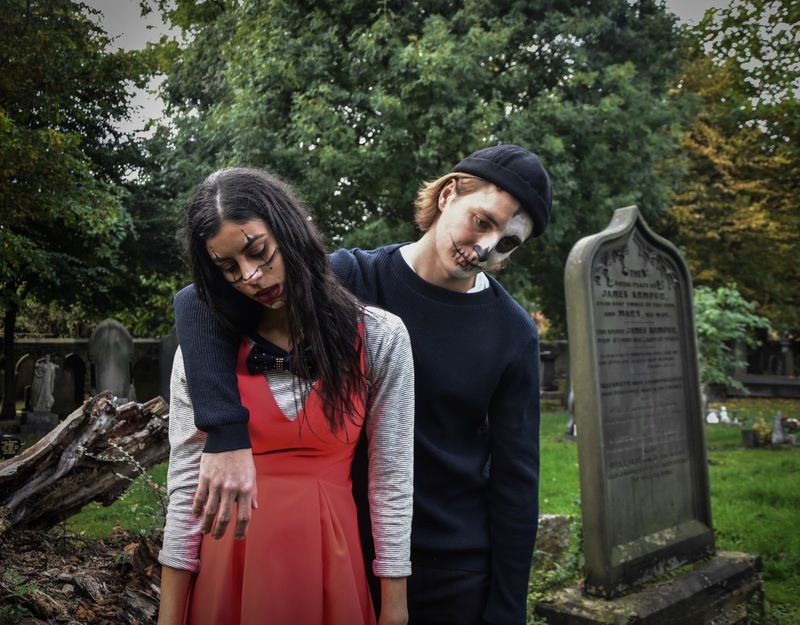 Our shoot locations had been carefully scouted to bring out the full features of the beautiful surroundings and the eerie nature of the graveyard. Clad in futuristic silver boots, dotted tights and red dress our Pierrot kept a sombre attitude. She was flanked by her skull-faced companion in suitably dark and simple attire as they ambled down the alley between the tombstones. Our evening looks were shot at the bridge near Jesmond Dean, where the beautiful leaves accentuated the glittering leopard party dress and the burgundy jacket of our second male model. Who knew that the russet leaves would provide such a beautiful natural backdrop? Derelict places seemed like the perfect locations, and we chose a garage back door as our final location, with the greying, peeling paint and the darkened brick adding a grunge feel to the clothes. For this part, we had chosen the checkered trousers for three of our models, with the circus ringleader in hot pants, top hat and a bright red cropped jacket with golden buttons. The theatricality of the outfits together with the startling makeup really brought out our Halloween theme! A big thank you to everyone involved in the shoot: Topshop Eldon Square, TCTV, the models (Yasmine Jessy Amr, Ellen Walker, Charles Mason, Max Fosh) and our fellow fashion and beauty editors.